August 15, 2018 -- The ADA Health Policy Institute research shows dental spending in the U.S. began to slow in 2002, well before the Great Recession. It has continued to be flat since 2008. Through 2015, there was no change in this trend with a slight uptick in 2016-2017, according to the ADA's Health Policy Institute. Doing more of the same won't change this trend. Most practitioners see and feel this with empty chair time. Even if fully booked, there is a limit in the number of patients who can be seen. Teledentistry can offer a way to profitably build a practice without adding more chairs. Teledentistry makes for a seamless and more effective means of communication and supervision for all of these providers. Recently, Arizona became the latest state that allows dental therapists (DTs) to work in certain, clearly defined circumstances to provide increased access to care to underserved residents with the direct supervision of a dentist. Under the terms of this law, these underserved areas include tribal health centers, urban Indian clinics, nonprofit dental practices, community health centers, and federally qualified health centers. As with all progressive legislation that has passed in states such as Maine, Minnesota, and Vermont and for tribal land-only approval in Alaska, Oregon, and Washington state, this Arizona law has caused its share of criticism and controversy. Without getting too political, let's address two of the main objections I've seen in the Arizona Republic's feature article regarding allowing DTs to provide oral health services to the underserved and how those objections can be addressed through the use of teledentistry. Yes, this is true, but that is why their scope of practice is clearly defined and why they operate under the direct supervision of a dentist. What's more, in most states, DTs must first be licensed as dental hygienists and then complete additional training -- often at their own expense. In Arizona for example, the DT candidate must complete 1,000 hours of hands-on clinical training under the direct supervision of a dentist. This is not a University of Phoenix online curriculum. So how do we maintain a high level of supervision once the dental therapist is working in the field? Teledentistry can provide the direct link between the DT and supervising dentist to enable communication, consultation, and collaboration. When patients present with conditions that cannot be treated within the DT's scope of practice, a dentist referral occurs. In this manner, the dental therapist remains within their scope of practice, the dentist provides appropriate and necessary treatment, and, last but not least, the patient experiences a higher standard of care than what was previously possible or available. The objection is that approving the use of dental therapists is like treating the underserved populations as second-class citizens. So, making access to care difficult or impossible must be treating them like third-class citizens, right? The truth of the matter is the reason why these areas are underserved is because it is not economically feasible for a private practice dental office to set up shop in these locations. However, assigning DTs to these areas is a vast improvement to having no care at all. Plus, teledentistry provides the DT and patient with direct access to a highly qualified network of dentists and specialists. There is nothing second-class about this scenario. In my view, many members of our national and state legislatures and dental boards are not fully aware of the capability of teledentistry and how its benefits can neutralize some of the most common objections for wider acceptance of dental therapists. This technology is in the unique position to support the success of a new class of healthcare professional, increase the access to care, and preserve need for qualified dentists in the healthcare mix. That to me is a win for everyone. Patti DiGangi, RDH, is an international speaker who is passionate about prevention and working with dental professionals to improve practice profitability. 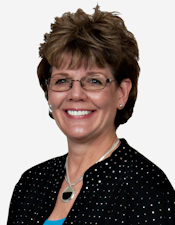 Patti is the author of the DentalCodeology book series for busy dental professionals.